The green leaves of Lady Bells barely poke above the ground until Spring has really gotten underway. Then 24" stalks of pendant blue flowers leap in June. This photo does not realy do the color justice. Adenophora liliifloia spreads by runners, but slowly, maybe a couple of inches a year. Periodically I dig up sections that are encroaching on their neighbors to keep the clump in check and provide a few plants for others. Adenophora liliifolia has been an easy plant to manage and a beauty as well. 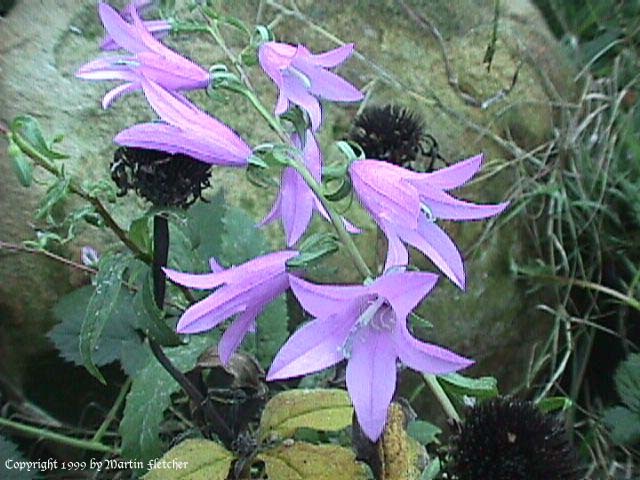 Flowers and foliage of Adenophora liliifolia the Lady Bells or False Campanula. High resolution garden images are available from our garden image collection. 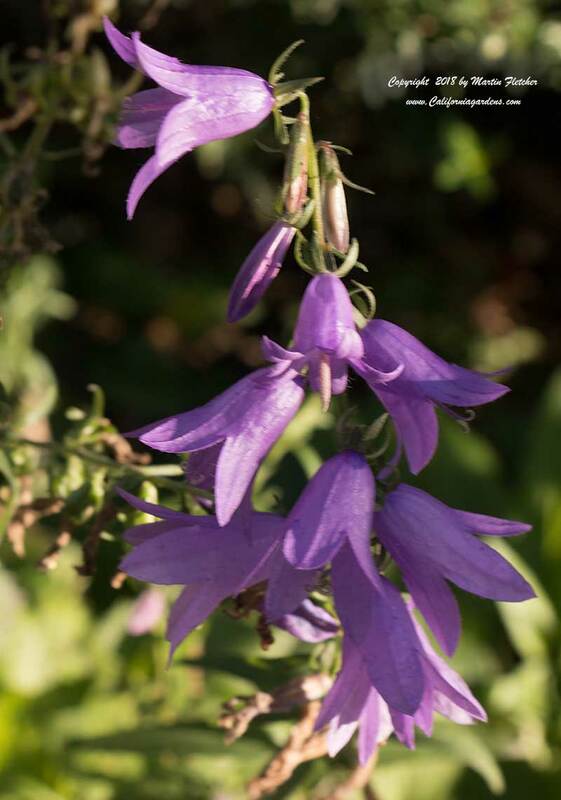 Flowers and foliage of Adenophora liliifolia the Lady Bells or False Campanula.